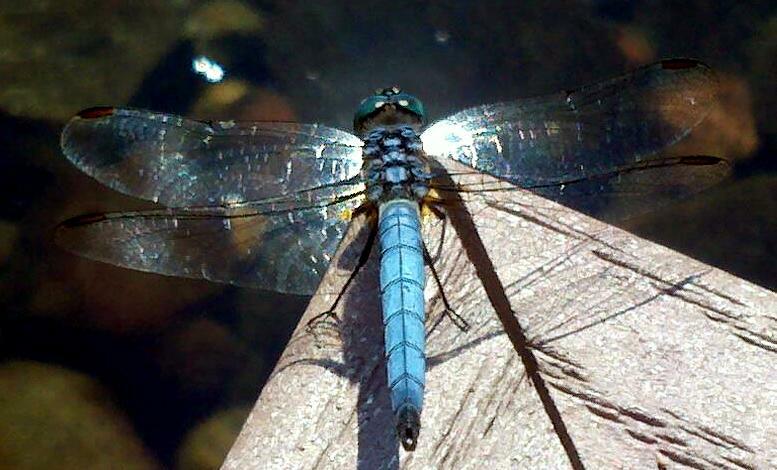 This dragonfly patiently posed on the tip of a water iris leaf (stalk?) while I moved around and took pictures. This one I cropped to use as my facebook cover photo. 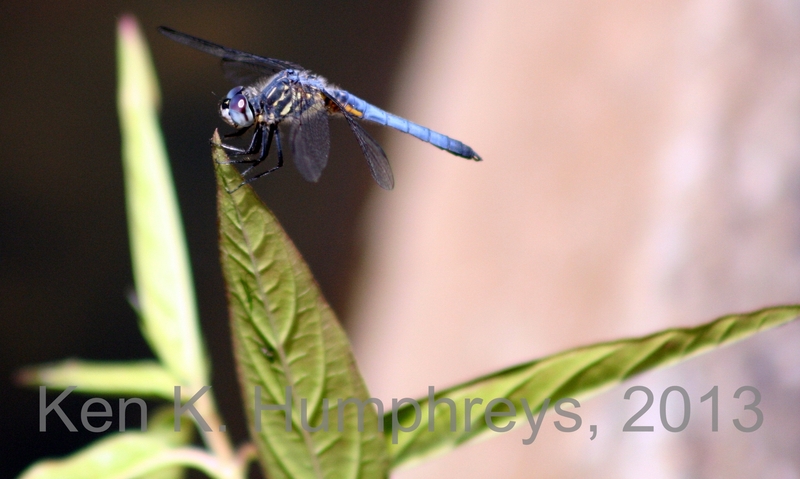 Since I have no frogs to photograph this year, I seem to be spending a lot of time with the dragonflies. When this guy landed on my lantana it created such a lovely moment. I hope you enjoy it! I decided that I’d done enough yard work for the weekend and took some time to sit outside and enjoy the waterfall and pond. 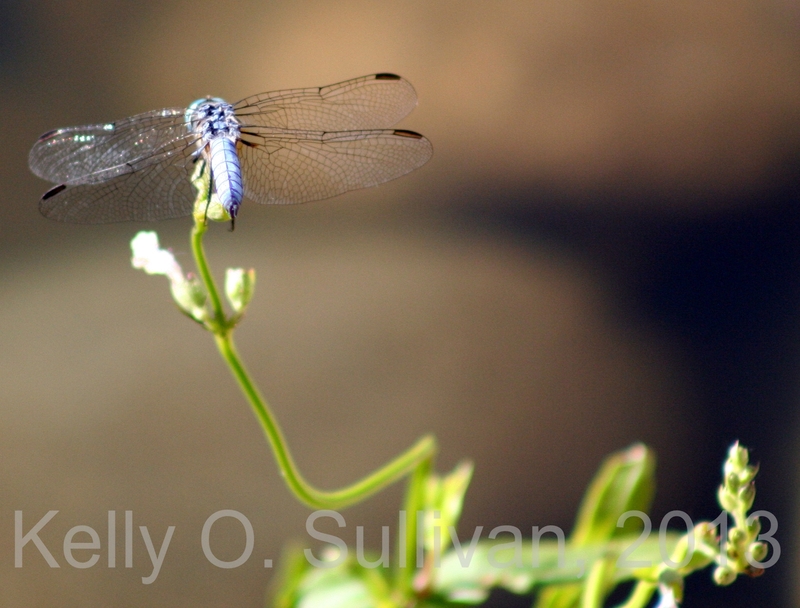 There were lots and lots of dragonflies flitting around, so naturally I got out the camera. What a pleasant way to spend the day. I left my camera set up outside one day, and my husband captured this lovely image. 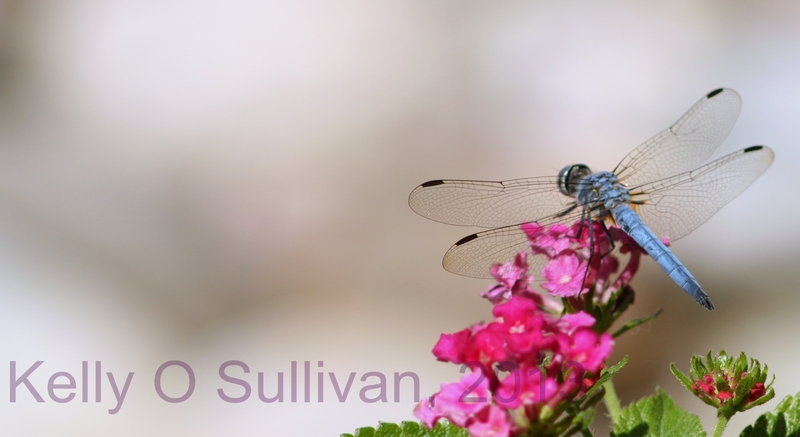 The blue dragonflies are the most common to see in our yard, and they certainly love to perch on the tips of plants. Though this does not compete (in my mind) with the blue dragonfly I captured on the iris plant stalk, it’s still a great close-up. They like to hang out on the corner of our small pier over the stream and (I presume) hunt the bugs that fly under and around the bridge. This is totally fine by me. Again, taken with my phone so not as detailed as it could have been.